Predator3D is the latest 3D machine vision technology from Coherix for structural adhesive and dispensing sealant bead inspection. 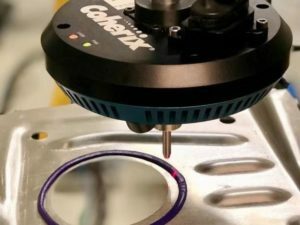 Smart, automatic and affordable, Coherix is leveraging its SHARK platform technology, 3D experience, and i-Cite software to bring this low-cost, high-performance 3D bead inspection solution to market. Predator3D inspects bead height, width, volume and position continuously to provide reliable inspection results. It detects and auto repairs skips and neck downs.